The city of Le Havre, on the English Channel in Normandy, was severely bombed during the Second World War. The destroyed area was rebuilt according to the plan of a team headed by Auguste Perret, from 1945 to 1964. The site forms the administrative, commercial and cultural center of Le Havre. 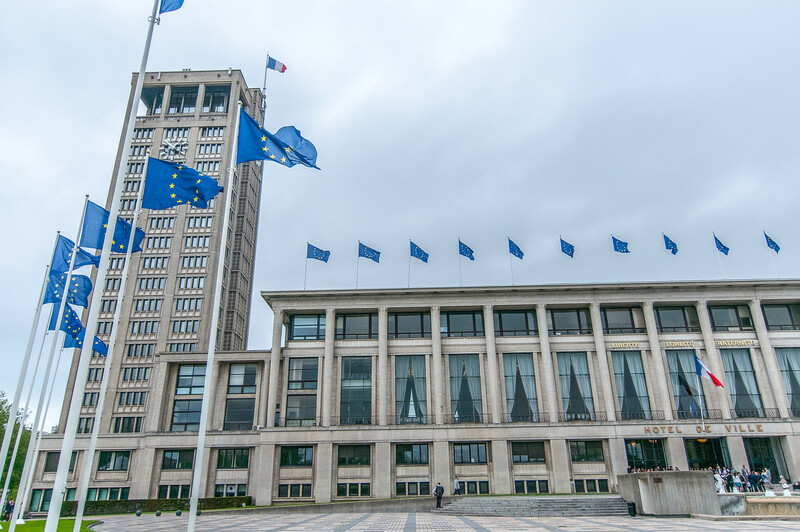 Le Havre is exceptional among many reconstructed cities for its unity and integrity. It combines a reflection of the earlier pattern of the town and its extant historic structures with the new ideas of town planning and construction technology. It is an outstanding post-war example of urban planning and architecture based on the unity of methodology and the use of prefabrication, the systematic utilization of a modular grid, and the innovative exploitation of the potential of concrete. If you are a big fan of city planning, I suppose Le Havre is on your bucket list. If you are not a big fan of city planning, then you can probably skip it. Every so often I visit a site where I scratch my head wondering “why is this a world heritage site”. This is one of them. I struggled to find something to photograph. I did a Google search and found that pretty much every write up of this site had a photo of the same building….the one shown above. Le Havre is a cultural UNESCO World Heritage Site in France. This site was inscribed into the UNESCO list in 2005 for its human activity and urban planning. The city of Le Havre was re-built by Auguste Perret following the war and transformed its identity. Due to the extent of his work and planning, the city is recognized as the best example of post-war architecture and urban planning success. The city of Le Havre is located on the English Channel in Normandy, France. This city suffered a great deal of damage due to bombing and numerous air raids in World War II. During the war, the city’s administrative and cultural center was completely destroyed. The houses in the city center were badly damaged too. When the war was over, there are up to 5,000 deaths and over 80,000 people were left without a home. The specific area that was destroyed during the war was rebuilt with the help of a plan that was formulated by Auguste Perret. The reconstruction planning was initiated by Auguste Perret in 1945. He was the chief architect and city planner in Le Havre. The reconstruction and re-building process lasted until 1964. The reconstruction process managed to restore the cultural, administrative, and commercial center for the city of Le Havre. 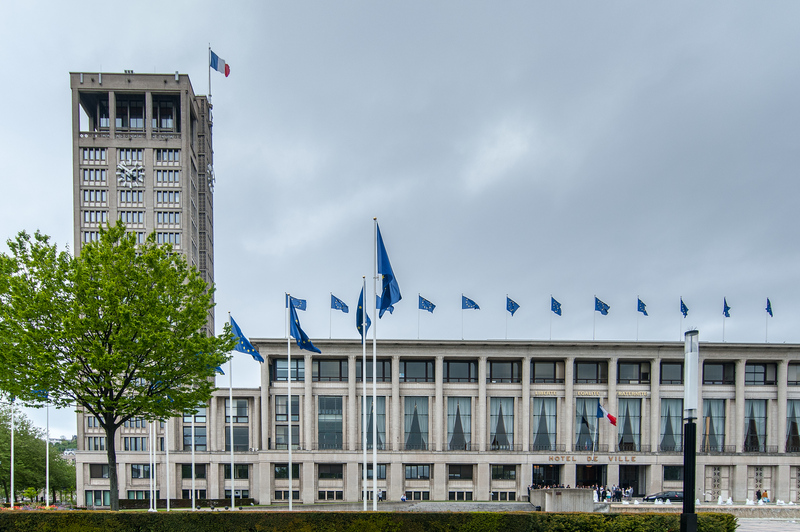 Despite the fact that there have been many other similar cities that have undergone destruction during the war and was re-built, Le Havre was exceptional due to the integrity of the buildings that were restored and the unity in the planning of the process. The newly rebuilt city of Le Havre reflects the earlier pattern of town and has managed to preserve many of the historic structures that were left standing in the city. Historical patterns of the city such as the squares and streets were preserved. These include the 19th-century law courts and the 16th-century cathedral, both of which managed to survive the bombings in the city. In addition, they were also able to utilize new ideas and construction technology as part of town planning. A few examples of modern construction technology used were modular grids, exploitation of the use of concrete, and the use of prefabrication, among other things. For this reason, Le Havre has been used as a model for post-war urban planning and architecture. Some UNESCO WHS are a mystery… even though, of course, they list the reasons why they’re heritage, but I get your point. Lately I’ve been drawn to industrial heritage sites. I’m sure it has something to do with living in a former industrial city.